Facebook will open a "community hub space" in Nigeria next year to encourage software developers and technology entrepreneurs and become the latest technology giant to pursue a training programme in fast-growing Africa. The US social media company said the centre would host an "incubator programme" to help develop technology startups, while it will also train 50,000 Nigerians in digital skills. Africa's rapid population growth, falling data costs and heavy adoption of mobile phones rather than PCs is attracting technology companies looking to attract more users. Facebook did not provide details of the period over which its planned training would take place in Nigeria, which is Africa's most populous country with 180 million inhabitants. "We understand the important role Facebook plays here in Nigeria with developers and start-ups and are invested in helping these communities," Emeka Afigbo, its regional head of platform partnership, said in a statement on Wednesday. Facebook said the training - aimed at software developers, entrepreneurs and students - would be offered in cities including the capital, Abuja, Port Harcourt in the south, Calabar in the southeast and Kaduna in the north. 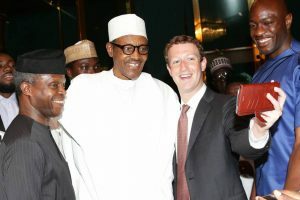 Last year Facebook founder Mark Zuckerberg visited technology companies in Lagos and his charitable foundation provided $24 million (roughly Rs. 155 crores) to Andela, which trains developers. Google's chief executive in a July visit to Lagos said the company aimed to train 10 million people across the continent in online skills over the next five years. He also said it hoped to train 100,000 software developers in Nigeria, Kenya and South Africa.